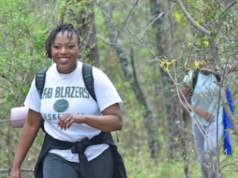 In the end, Birmingham proved to be a good fit. That’s what leadership of the National Basketball Association’s New Orleans Pelicans said as they announced that Birmingham will be home to their new G League team. The team will play in the Erie, Pennsylvania area for two to three years as upgrades are done to Legacy Arena at the Birmingham-Jefferson Convention Complex. 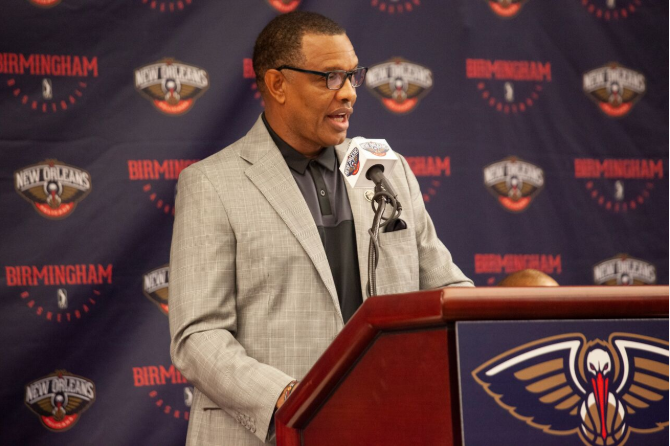 Leaders of the Pelicans started looking about two years ago for a city to call home for its minor league affiliate. That search went across the Southeast and even some spots outside of the U.S. The G League is the NBA’s official minor league basketball organization and was formerly known as the Development League. 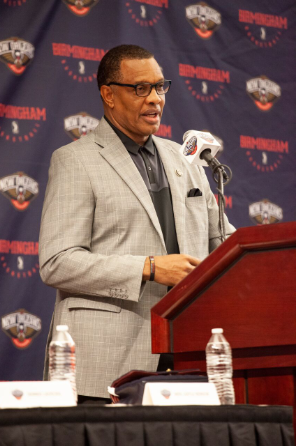 Discussions with Birmingham began about a year ago with several cities like Shreveport, LA and Pensacola, FL appearing to have the inside track. However, Birmingham continued to make a strong case. 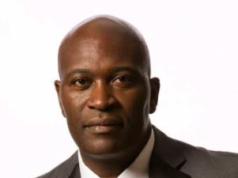 “We discussed with Mr. (Tad) Snider, the (BJCC) CEO,” Lauscha said. “We talked to him about the various improvements that were going to be made in the arena. At the end of the day, we were very impressed with their vision, very impressed with what they’re doing in and around the arena right now. Lauscha was asked whether the Pelicans would have located its affiliate in Birmingham had there not been upgrades to Legacy Arena. It helped the decision, he said. 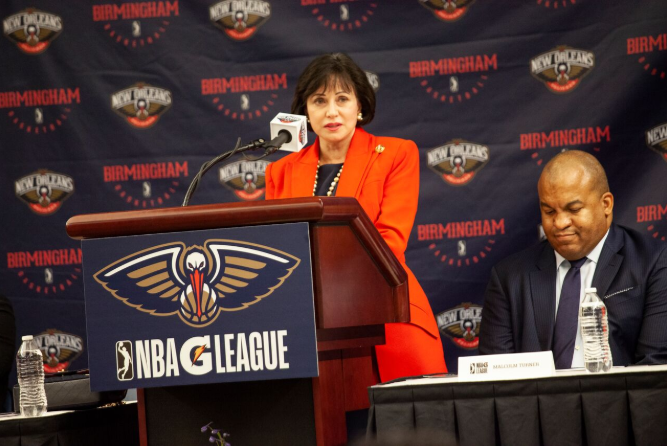 The arena is undergoing a $125 million renovation, expected to be completed in 2022, which is part of significant upgrades to the BJCC campus that include a new 45,000-seat stadium. 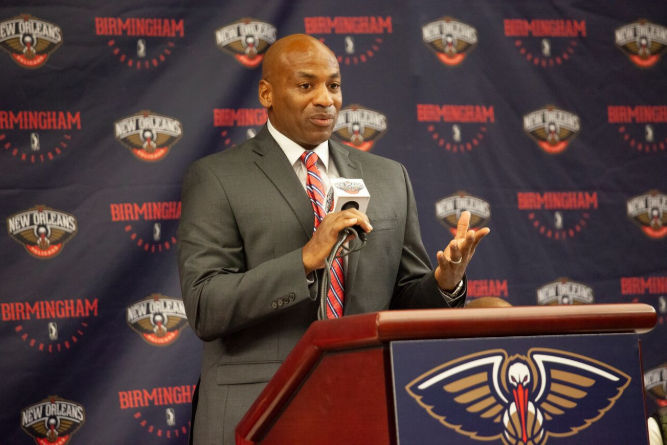 Dell Demps, executive vice president of basketball operations and general manager, spent time in the G League – as an assistant coach and as a general manager. For him, having easy access to the parent organization was very significant. The Pelicans are owned by Gayle Benson. 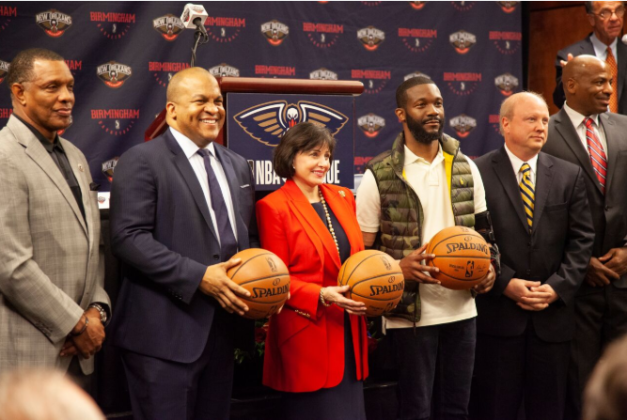 She is an heir to the estate of her late husband Tom Benson and became an American billionaire, businesswoman, philanthropist and sports franchise owner after his death on March 15, 2018. 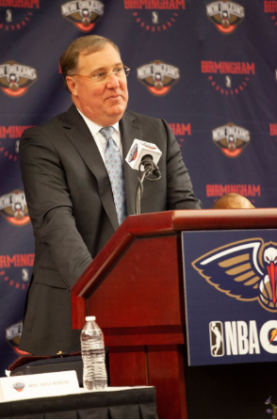 Lauscha said the Pelicans have upwards of 300 fulltime employees. 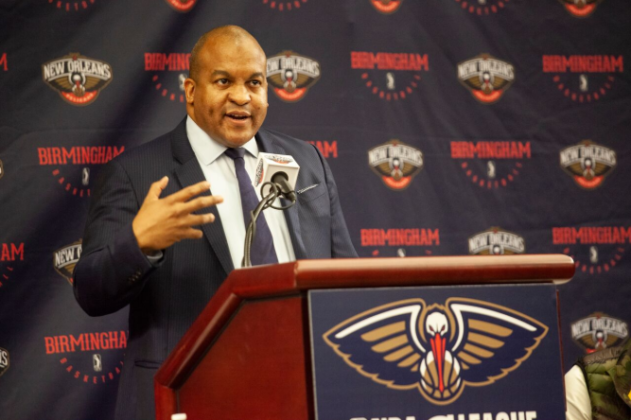 He added that Benson’s organization, which also owns the New Orleans Saints of the National Football League, has worked closely with the University of Alabama and other colleges in pursuit of staffers. 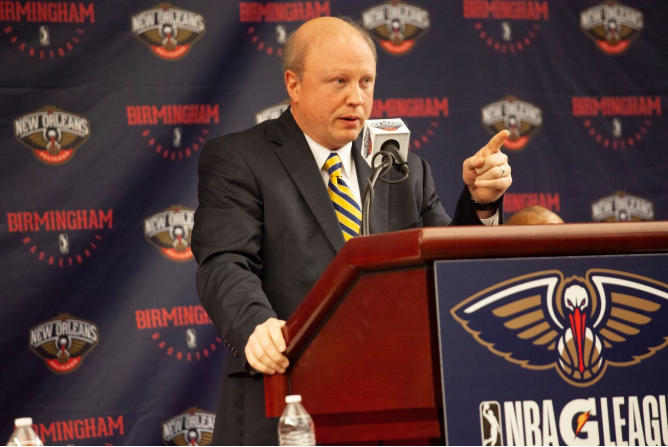 Lauscha made it clear that the team in Birmingham will be part of the Pelicans operation. The same offense, same defense and terminology will be used in both places. 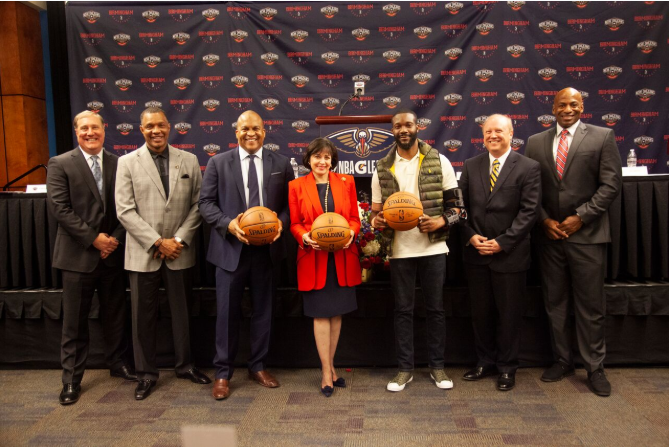 Pelicans guard Ian Clark said the NBA G League is an important part of players’ pursuit of their dream. 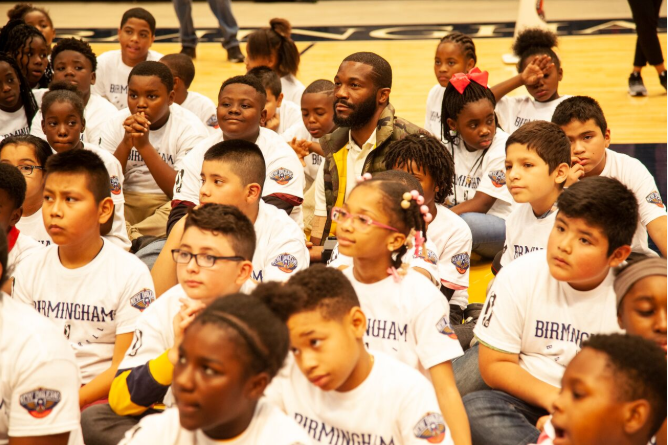 “You see it every year, guys are down in the G League playing, playing, playing and they get that call up and it’s a great feeling,” Clark said. “I think that, especially with my experience down there, guys are working just as hard. They know how important it is to still come out and treat it like it’s an NBA game. Forward Darius Miller said he wasn’t getting minutes in the NBA so he was sent down to the G League. Now he’s in the Pelicans lineup. “It’s a great opportunity to use that to get into a rhythm, get comfortable and develop on the court,” he said. Tim Frazier said his initial call-up to the NBA came via a 10-day contract after playing in the NBA G League. 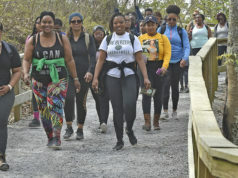 “Everybody out there is striving for one thing – to get a call up and to make it into the NBA,” the guard said. “It gives you that competitive nature to be able to compete and know that you’re going against the best of the best. That feeling to be able to put on an NBA jersey and just compete.